Have you been doing research on Guo Feng International Industrial Co Ltd HK located in China sells Capacitors? 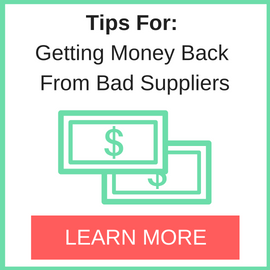 If so, read on below to read one buyers experience when trying to buy Capacitors. The seller usually answers the communication with offering low prices items, discounts and free delivery by sending a pro-forma invoices with a bank payment. After our TT payment they stop communications by email and phone. We informed immediately HSBC (recipient’s bank) and local waiting for their actions until now. Researching in internet data base we found that same money recipient Guo Feng International HK Industrial Co Ltd made fraud to other companies by other two webpages. The amounts they usually cheated customers are up to 3000usd. 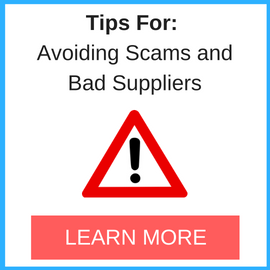 Do not trust these supplier names! Do not send money, because you will lost them! Please, check internet data base, trade development sources and any other sources for trusted companies approvals. Need More Info on Guo Feng International Industrial Co Ltd HK? 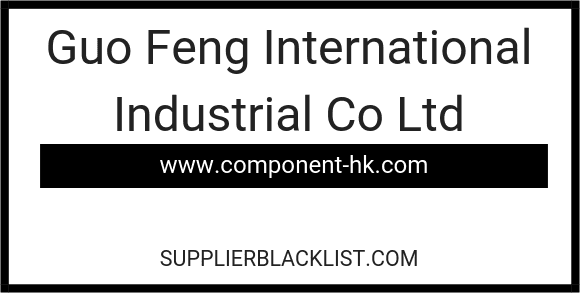 If you need more information, you can click the below links to search for more submissions about Guo Feng International Industrial Co Ltd HK on Supplier Blacklist as well as go to the search results page on Google for more reviews online about this company. Perform a Supplier Blacklist search for more reviews on Guo Feng International Industrial Co Ltd HK. Search Google for Guo Feng International Industrial Co Ltd HK Reviews.